Optimal has developed a bespoke machine vision system for the real-time 100 percent inspection of a thin film product used in the manufacture of electronic components. The new system builds on Optimal's 26 years of systems integration experience and makes use of the company's synTI® integrated Print and Inspect system software. 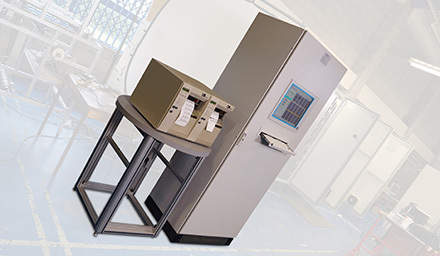 Optimal’s customer for the new system wanted to replace its previous sample-based quality assurance regime with a more detailed 100 percent inspection approach, but it was concerned that its high manufacturing rates and detailed inspection requirements would make the required level of speed and accuracy difficult to achieve. The material travels at relatively high speed, and the inspection system needs to spot tiny defects in a web 900mm wide, as well as recording very accurate dimensional measurements. 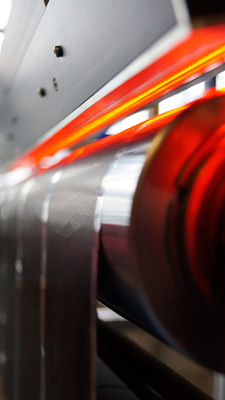 Optimal tackled the problem with a system that uses three, synchronized high resolution, high speed contact image sensors (CIS) installed on the customer’s production line between the manufacture of the film material and downstream slitting and packaging operations. One camera inspects the top of the web of material; the other two are focused on the underside. 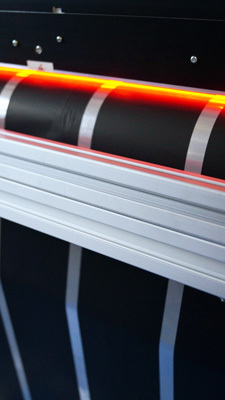 The inspection system checks for defects in bands of dark and light coloured coatings on the film, and measures the precise width of the coloured bands. The inspection data is processed by the synTI® software and displayed in real time on the production line, so that operators can check the performance of their upstream processes and make any adjustments or interventions necessary to keep quality within the required tolerance limits. A summary of the inspection information is also sent automatically to label printing equipment to be added to every batch of material prior to dispatch, and all data is stored in an online database to permit later management review. With three high resolution sensors each running at up to 10kHz frame rate, the system can generate and manage up to a Gigabit of data every second, although the actual stored data is not that high as the software is able to process the raw data into more a more manageable format. 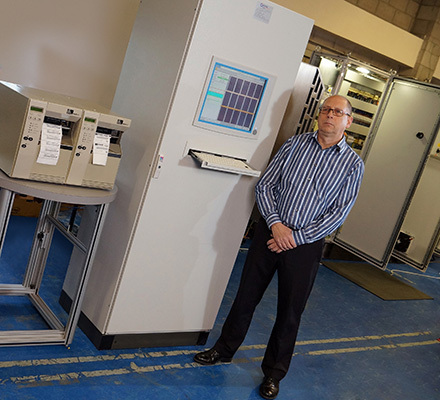 The synTI® software used to run the film inspection system runs on four powerful PCs which are housed with the rest of the control hardware in a racked cabinet, also built-up and supplied by Optimal. This combination of highly capable sensors, fast data transfer and powerful processing capabilities is allowing Optimal to solve an increasing number of challenging inspection problems for its customers “Modern cameras can do measurements, or use advanced tools like feature recognition or optical character recognition too,” notes Norwood. While Optimal is often asked to develop systems for continuous manufacturing applications like this example, its skills are also increasingly being used in high speed discrete manufacturing, where they have been applied to a range of tasks, including the detection of marks, stains and defects, non contact measurement and the identification of products by vision, character recognition or code reading tools.